"The Details Make the Difference"
​​The Helen’s Daughters handbag business started in 1989 between two sisters: Char, in Wisconsin, and Mariella, in Minnesota. Helen was our mother. The handbag business honors her and all that she taught us about being creative, loving life and having fun. Both are U of W–Stout grads. 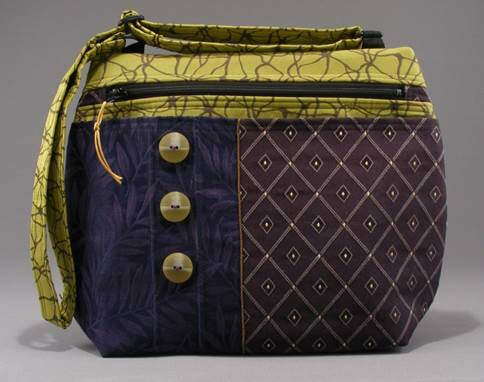 Helen’s Daughters Studio designs, creates and sews award-winning tapestry handbags, pocket books, totes, backpacks, and purses. The handbags are plain to fancy, pretty to bold, and everyday to occasional - always useful. Their handbags have been carried at hundreds of weddings and proms, and some have traveled all over the world. They are collected and loved by young and old. Char and Mariella constant search for unusual and sometimes limited fabrics and trims. Each sister has her own individual handbag style and creative designs. They participate in regional art fairs and shows. 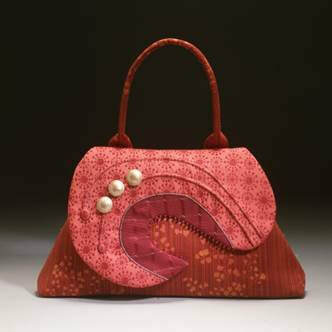 Helen's Daughters Studio can custom-design handbags for any need or occasion. Gallery Handbags can be custom ordered and start at $165. Every January we Challenge ourselves to design 14 new designs in 14 days. Each morning, we start drawing designs in a sketchbook, draft a pattern and make the prototype! Photograph the new design and post it on our Facebook and Instagram pages. We'll pick one to three of these new designs to add to our collection. This is the "class of 2019"! Our 6th Annual January Design Challenge.